PHOTO BY BROOKE IRISH Soprano Dawn Upshaw. Eastman School of Music's Kilbourn Concert Series continues with violinist Leila Josefowicz on Tuesday, November 13. 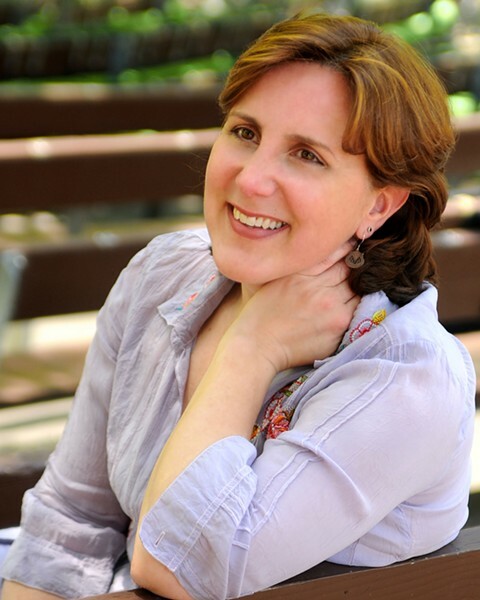 The most striking thing about Dawn Upshaw's performance at Eastman School of Music on Tuesday was the warmth and accessibility of the soprano's voice. Giving a recital as part of the Kilbourn Concert Series, Upshaw's tone was earnest and personal, and devoid of pretension or blustery vibrato. Her vocal resonance was natural and uninhibited. Accompanied throughout by pianist Gilbert Kalish, it seemed fitting that the program began with arguably the most beloved art song composer of all time, Franz Schubert. Upshaw imbued her performances of such classics as "Gretchen am Spinnrade" and "Im Frühling" with a thrilling and expressive combination of strength and pathos. The singer also exhibited impressive control of timbre, ranging from bright, cutting high notes to sublimely dark vocal colors. Upshaw's singing revealed the inner sadness that inhabits Schubert's songs, and in mining the tragedy, she also illuminated the beauty of the melodies and the fragile brilliance of the phrasing. Charles Ives might have been one of the last composers I would have chosen to follow Schubert, but that's exactly where Upshaw and Kalish went next. In the songs of Ives, there is tenderness in the melodies, with the possibility of poignant dissonance always lingering in the air. Occasionally, Upshaw's vocal stamina would waver for a note, but those occurrences were anomalies amidst otherwise intuitive phrasing. Ultimately, it was the music of Maurice Ravel that Upshaw seemed to relish most. In her performance of the song cycle "Histoires naturelles," she accentuated Ravel's musical wit in portraying particular creatures in the animal kingdom and their human counterparts. A highlight of the cycle was "Le cygne," or "The Swan"; Upshaw playfully indulged in the engrossing storytelling style embedded in the melodic phrases and varied timbres. Prior to Tuesday's concert, early-20th century composer Rebecca Clarke was, admittedly, a mystery to me. I was glad to be enlightened, however, as the set of four songs interpreted by Upshaw and Kalish demonstrated Clarke's masterful facility for writing legato melodies enveloped in long, slowly unfurling phrases. Upshaw seemed to luxuriate in these elongated lines. The recital also provided a rare opportunity to hear art songs by Béla Bartók. Unsurprisingly, the selections sung by Upshaw were enigmatic; an especially visceral quality characterized "Régi keserves," or "Old Lament." Just as in Bartók's orchestral compositions, his ability to use rhythm and harmony to create tension was on full display, as was his use of folk music language. The recital officially concluded with a charming trio of "Cabaret Songs" by contemporary composer William Bolcom, but afterward Upshaw and Kalish treated the audience to a delightful dessert of an encore, Ives's "Two Little Flowers." Kalish was a sensitive accompanist whose rich piano playing warranted the listener's attention. But it was Upshaw who captivated the audience with her clear tone and unfussy style. The performance was a master class in what singing should be - selfless storytelling and inspired vocal expressivity.